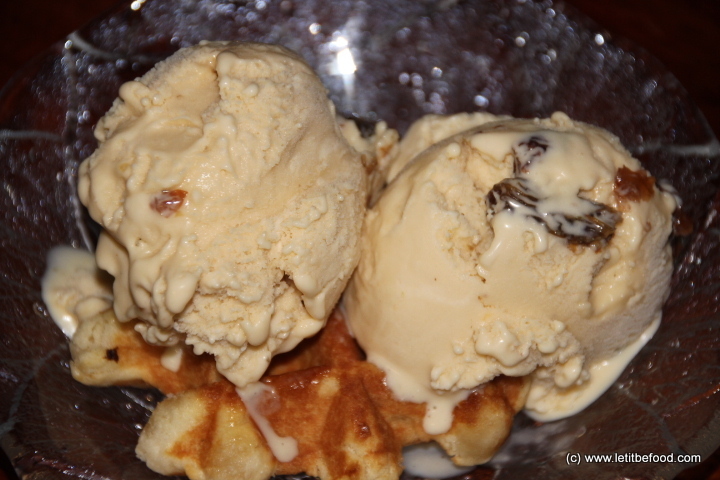 If you don’t have an ice-cream maker refer to Tips and Tricks section for an alternative process. 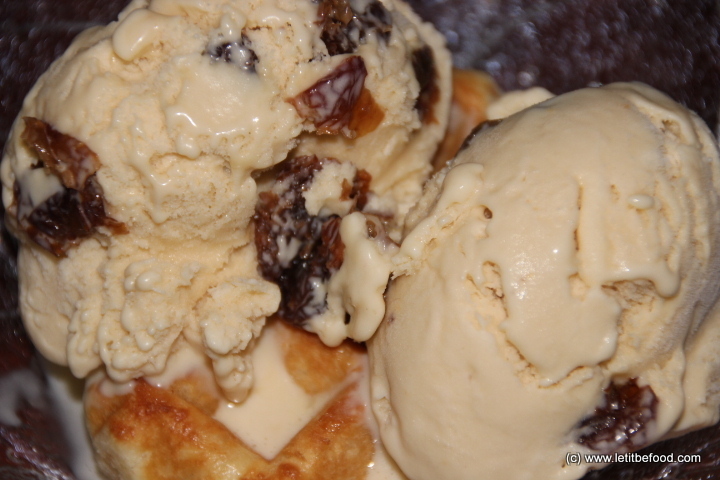 Rum and raisin is an old classic but remains one of my all-time favourite ice-creams. Of course it’s optional whether or not you serve it on a waffle. Perhaps you’d prefer it by itself or even in a cone.